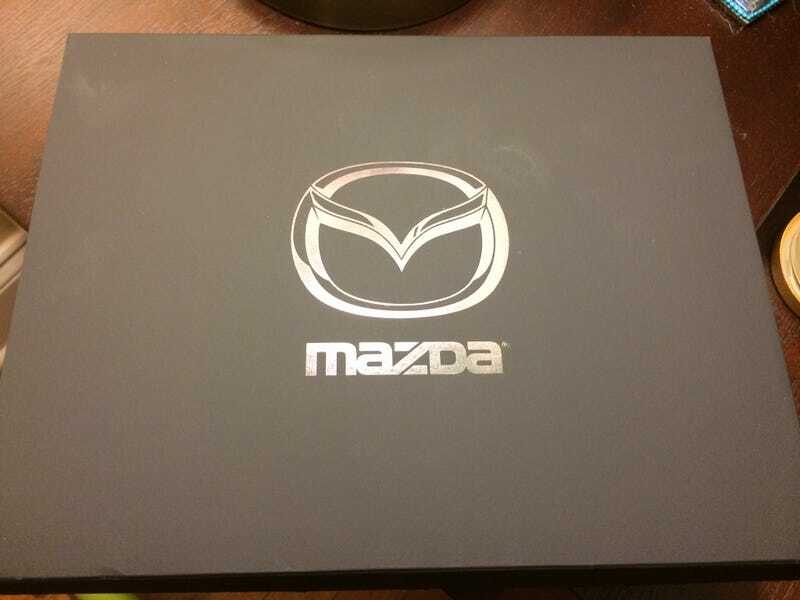 It's essentially an accessories brochure and a "get your car serviced by Mazda brochure. It had this funny picture. I did the same thing when I took the passenger seat out of my Corolla. I bought my car over 2 months ago so getting this now is a little odd time for a welcome package.